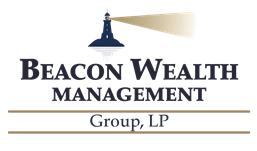 What’s on our mind hear at Beacon Wealth Management Group? Well...You can read about it in our blog. Whether it’s ideas from the investment world or concepts from the financial industry, you can read about it here. And once in a while, we may throw in a movie review, a good book we read, some silly photos of our team or some other surprise. Reminder/Repost - Beacon Wealth's New Digital Advisor Platform Is Live! Are You A Subscriber? Subscriptions Rule Our World! Currently the Bond Market is realizing a changing of the guard. For the past 30 years it has been quite a nice ride, but is all that about to change? Is your portfolio prepared for whats to come? Find out our thoughts here!!! Random Thoughts: Who Is Sitting At Your Table? 5 Life Insurance Beneficiary Pitfalls- What Not To Do! Am I Too Old to take out a Long Term Care Insurance Policy? Did You Protect Those That Matter Most This September? Sunday May 29th is National College Savings 529 Plan Day- Who's Paying for College? Gifting Roth IRA's to Loved Ones! Volatility Resurfaces Old Questions: Can I Time the Market? Recent Social Security Changes- How Does It Affect You?